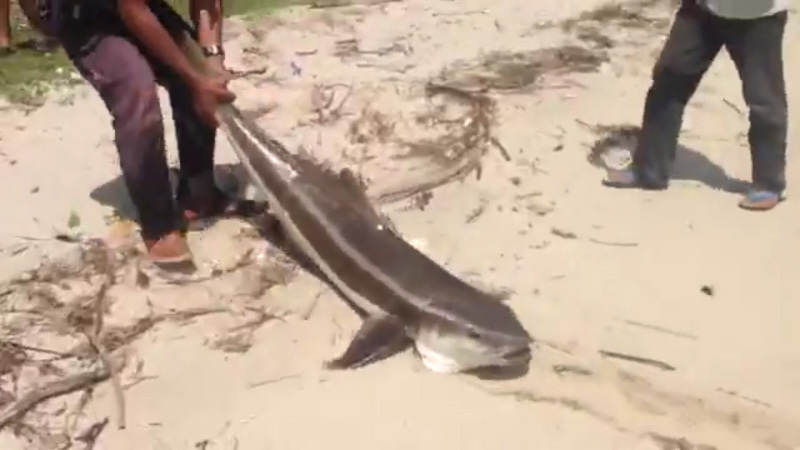 Cobia fish caught at Changi Beach! Maximum weight for cobia ever recorded is 78kg and this weighs 28 kg. Such a big fish landed on a small island city-state.